What Is Family and Business Succession Planning? Family owned and operated businesses dominated the landscape and the economy in the United States at one time. The Industrial Revolution, however, started the family business on the path to obscurity. After decades of decline, family businesses are rebounding once again in the United States. If you own a family business, the Lincolnshire family and business succession planning attorneys at Hedeker Law, Ltd. explain how to protect your financial interest in that business. If you are incapacitated tomorrow in a tragic accident, who will take over the immediate day to day control of your business? Is it clear to your employees, business associates, and family who will take over? Does the individual designated to take over have the legal authority to do so? Will your family continue to benefit from the business’s success in your absence? If you become permanently disabled, or retire, who will take over your business? Will your business be included in the probate of your estate? If your business will be part of your estate, what will happen to the value of your interest in the business if it is sold? If your business is a family owned business have you prepared the next generation to take over? Have you set up the proper legal structure for the business to facilitate the transfer to the next generation? What will the tax implications be for your business should you die? Does the business have sufficient liquid assets to cover any tax debt that might be owed when you die? How will your family get by financially if the business is involved in the probate of your estate? These questions just scratch the surface of the factors that should be considered when discussing the need for nosiness succession planning. Without a plan, the hard work you put into getting your business off the ground and turning a profit will be for naught and the very future of your business will be uncertain. What Should Be in My Business Succession Plan? Business succession planning involves creating a plan that will ensure your business is protected in the event of your incapacity, retirement, or death. The details of your plan will uniquely fit your business; however, they will aim to answer all the questions above and more. 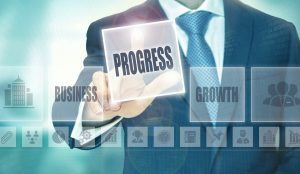 Exactly what tools, strategies, and documents will be included in your business succession planning component will depend on the details of your business and your plans for its continuation in your absence. If you plan to pass down your interest in the business to your children, you may want to create a Family Limited Partnership (FLP). With an FPL you maintain majority control and day to day management of the company for as long as you wish; however, your successor can also begin to learn the business while you are still around to provide guidance and advice. You are also able to slowly transfer your legal interest in the business to your child(ren) over time that produces some significant tax advantages. In the event that none of your children wish to take over the business, entering into a buy-sell agreement ensures that your loved ones will be entitled to the benefit of the value of your interest in the business. A buy-sell agreement works best when you have a partner; however, you can enter into one with an uninterested third party. In short, a buy-sell agreement allows you to determine ahead of time what your interest in the business is worth or, in the alternative, provides an agreed upon method of valuing the business when the time comes. Your partner(s) agrees to purchase your interest in the business should certain events occur. This ensures the continuation of the business and a fair price for the sale of your interest in the business, the proceeds of which will then become part of your estate or will go directly to your loved ones. The details of your family business succession plan will be as unique as your business. The important point is that you have a plan in place to ensure that your business will survive in the event of your retirement, incapacity, or death. For additional information, please download our FREE estate planning worksheet. 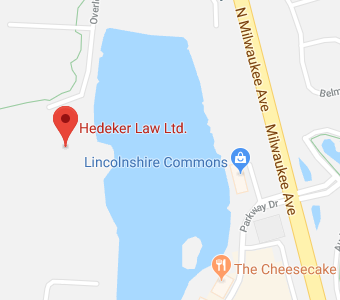 If you have additional questions or concerns about family and business succession planning, contact the experienced Lincolnshire business succession planning attorneys at Hedeker Law, Ltd. by calling (847) 913-5415 to schedule an appointment.